Home About Universe Astronomy Videos 7 Objects Found in Outer Space That We Just Can't Explain! 7 Objects Found in Outer Space That We Just Can't Explain! From galaxies that are 13 billion years old to changing colors of Jupiter’s great spot, we will take a look at seven objects in space that we just can’t explain. The Moon’s mysterious Magnetic Field: The moon has remained magnetically inert for eon but new research confirms that this was not always the case. Over 4 billion years ago an inner molten moon core whirled against lunar mantle. Pretty much like Earth’s own dynamo. 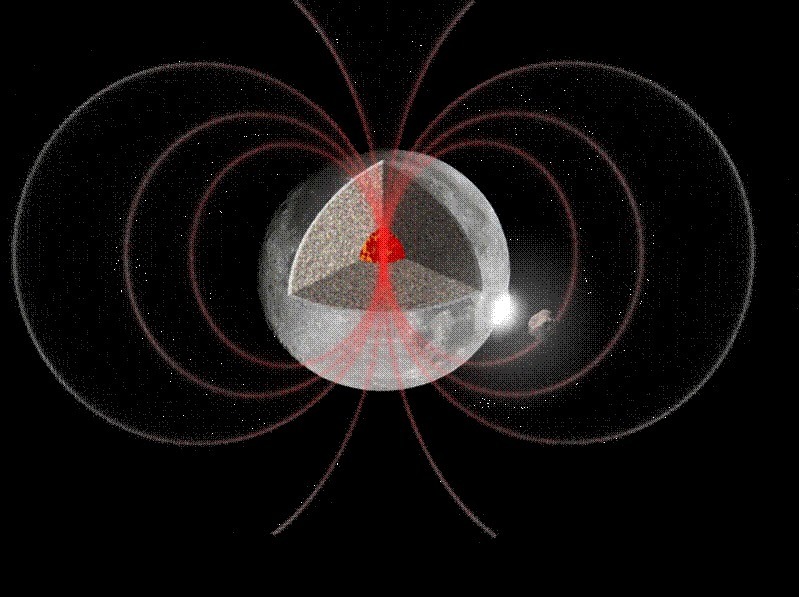 Surprisingly our little moon was able to generate a mightier magnetic field than ours. No one know why sun a puny body displayed such a potent magnetic activity. 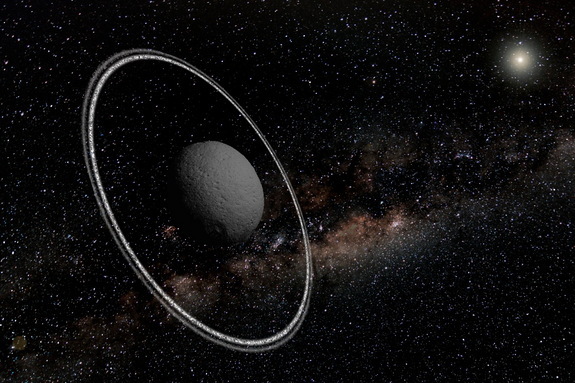 Asteroid With Rings: All the Gas Giants in our solar systems are encircled by rings. Though most of these are tenuous debris quite unlike Saturn’s massive sets of rings. Now for first time and quite unexpectedly astronomers have found rings around a much smaller body. Meet ‘Chariklo’. Chariklo is an asteroid measuring only 250 km across, yet has its own ring system. Chariklo, though the largest object in its cosmic vicinity, look like an unremarkable chunk of space rock. It turned out that this particular asteroid not only hosts one but two cosmetic necklaces. Containing a good amount of water, the larger of the rings encircling the asteroid is 7 km wide and the other one is half that size. Its discovery stunned astronomers. The Six Tailed Asteroid: Hubble space telescope has revealed yet another incredible curiosity. An asteroid that acts as a comet. Comets are easily recognizable by their bright tails but asteroid do not show anything like that since they contain very little ice. So spotting an asteroid with not just one but six tails is quite a big deal. 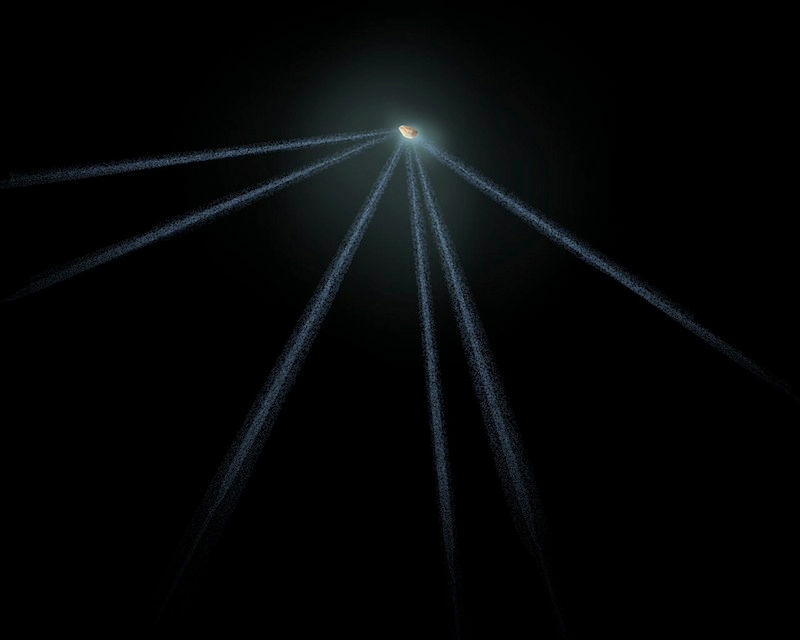 This particular asteroid blasts material indiscriminately in to the space like a cosmic lawn sprinkler. 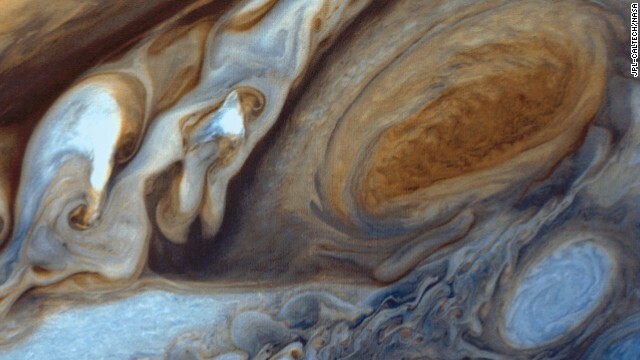 The Colors of Jupiter’s Red Storm: You have probably seen amazing pictures of Jupiter’s massive hurricane that’s bee hurling across its southern hemisphere for at least 400 years. We know that it’s a hurricane like phenomena that you could fit 3 earths inside it and that’s its cooler & higher than its nearby clouds. With the research spanning over centuries we also know that it changes color from light pink to pale red and it is also shrinking but unfortunately we simply don’t know the answers about what’s really causing it and why. 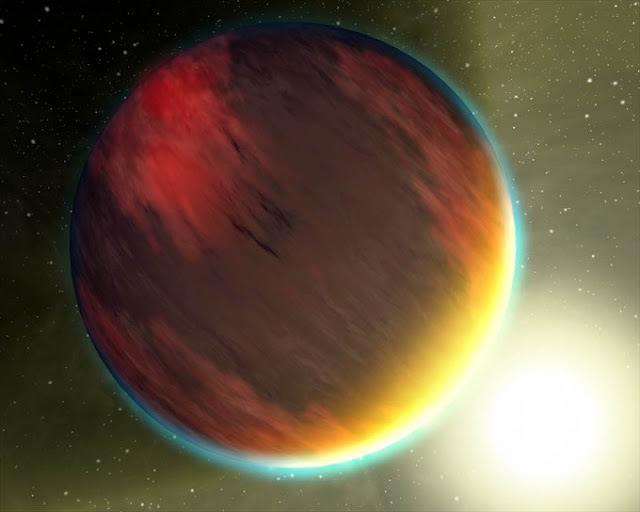 Hot Jupiter Messes: Hot Jupiter or massive Gas Giants are in a tight orbit around their stars and they usually exist in the outer realms of a star system like ours. But the recent discoveries of these massive gas giant has raised many question because these gas giants were discovered way close to their stars, which is highly unlikely and also unexplainable with the current cosmological models. Galaxies 13 billion Years Old: According to our current theories, the early universe was an approximation of a hell, a boiling opaquely dense place with only electrons and protons. Almost half a billion years passed before the baby universe cooled down enough to allow the formation of neutrons. Shortly thereafter the universal landscape settled further so that the stars and galaxies could come into being. A recent ultra-deep survey by Subaru telescope located in Hawaii and run by the National Astronomical Observatory Japan, revealed seven of the earliest galaxies ever over 13 billion light years distant. They appeared as unimaginably faint pinpricks of light. Iciness of Saturn’s Ring: The ultra-thin icy rings of Saturn are also as mysterious as the Jupiter’s Great Red Spot. We know what they are made of and we understand some of the tidal forces that caused them to change shape. We are also pretty sure that formed some 4.4 billion years ago but we still aren’t sure how they actually formed. Why are they made up of almost entirely of ice? And why there are able to maintain such a perfectly flat shape as they whirl around the planet with its many moons. 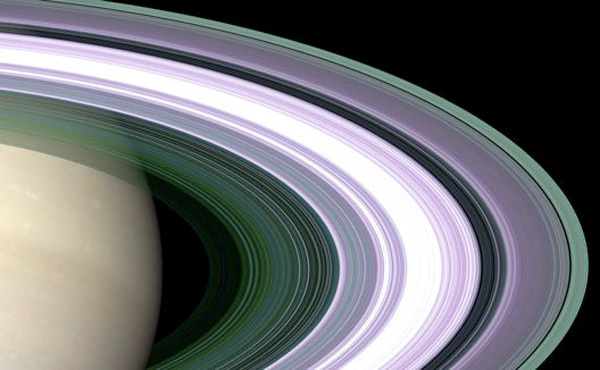 So the formation of Saturn rings still remains a mystery. This Is The 1st Part Of This Article. 2nd Part Will Be Published Soon. Meanwhile Let Us Know What Do You Think About These Mysteries In The Comment Section.